During World War II when Germany captured Poland, the Château gave refuge to the Polish government. 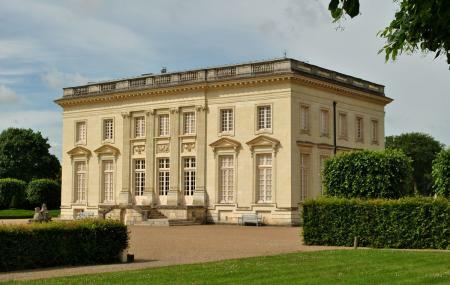 In 1943 the German Navy requested Château de Pignerolle as its communications center with Admiral Doenitz's in-charge. The Germans left in 1944. In 1946 it became a temporary German refuge for the homeless with the Orangery serving as the church and bunkers as hiding places for children. After liberations American troops sought refuge here under the charge of General Patton. History and evolution of the radio and television. Neil Armstrong’s landing on moon. Managed by the Parks and Open Spaces Division of the Greater Angers Area Council, the estate garden is a work of art in itself, beautifully landscaped. Free coach and car park available. Free admission: Children under 12 years; Angers City Pass holders. From the Angers-Cholet A87 Motorway. Take the Saumur-Tours exit (RN 147), then once at Saint-Barthélemy d’Anjou. Follow the signs to the “Musée de la Communication – Château de Pignerolle”. How popular is Chateau De Pignerolle? People normally club together Carre Cointreau and Prieure Saint-remy La Varenne while planning their visit to Chateau De Pignerolle.